I was meeting up with one of my friends for lunch, and he took me to this place. I’ve heard of this place, and I’m glad to visit for my first time. 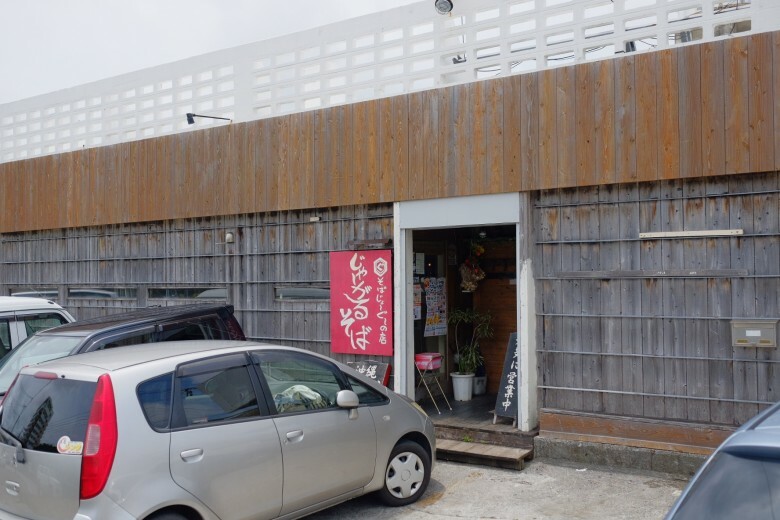 Jagaru Soba in Chatan area. 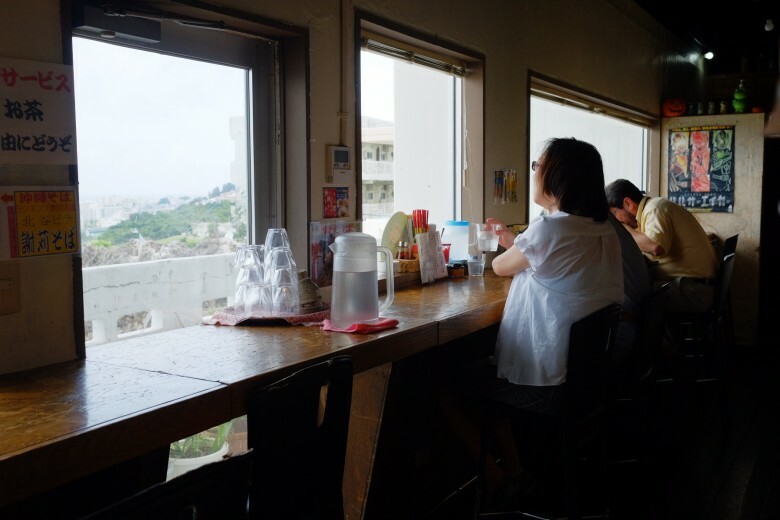 Okinawa Soba is not Japanese Soba. Japanese soba uses buckwheat. The history goes a long way, all the way back to 7th century. 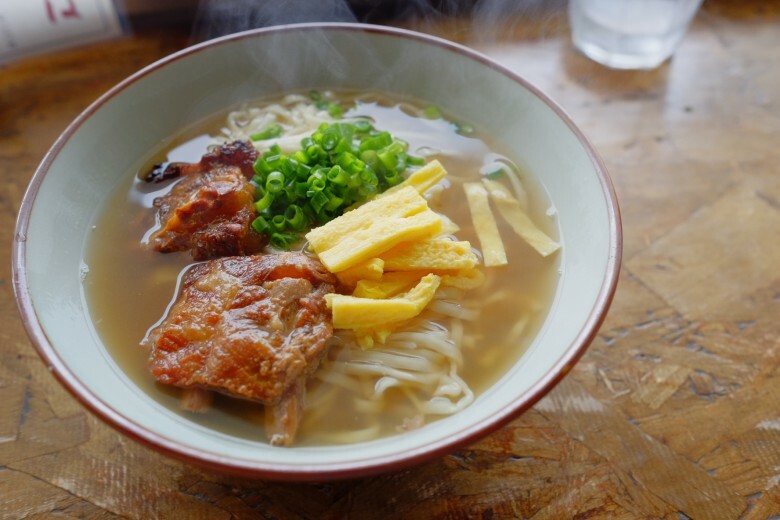 Okinawa soba uses wheat. 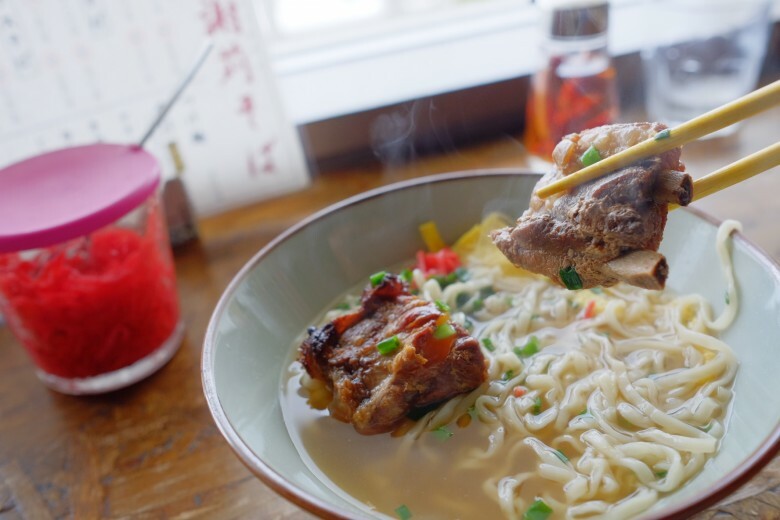 It was something a chef from China started in Naha in 19th century, just like other Chinese chefs started noodles in the main islands around the same time and became the origin of Ramen there. The noodle is originally made of wheat, water, salt, and ash of banyan trees. 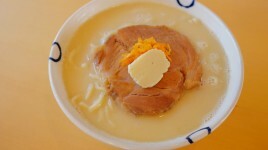 The soup is typically a mixed broth of Japanese Katsuo (fish) dashi and Okinawan pork dashi. The restaurant is a unique layout. 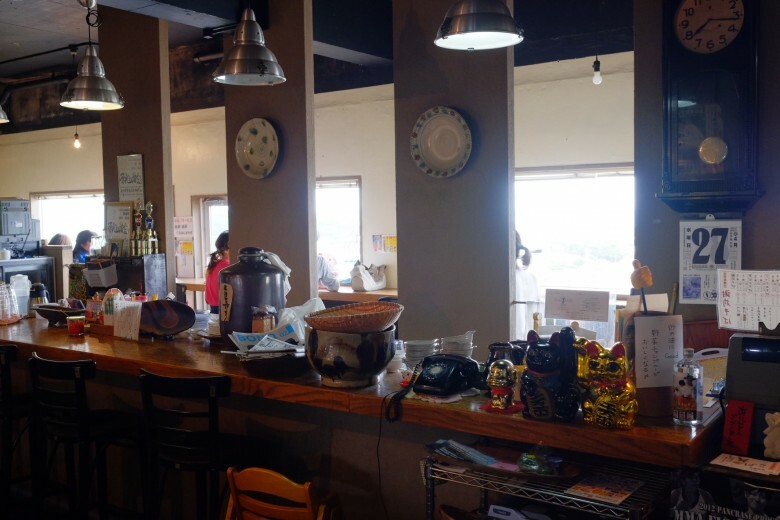 A bar counter is sitting right in the middle of the place but not really doing anything. They have 5 or 6 tables and a counter with a nice view. 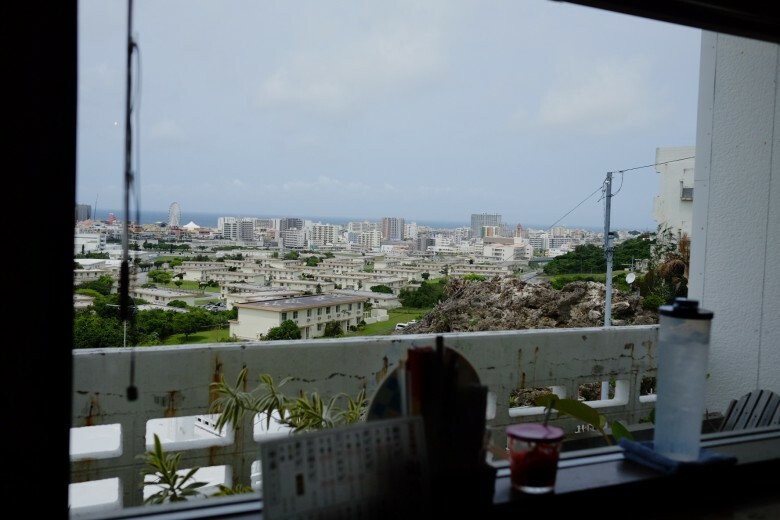 Overlooking the town of Chatan. They make their own soba. 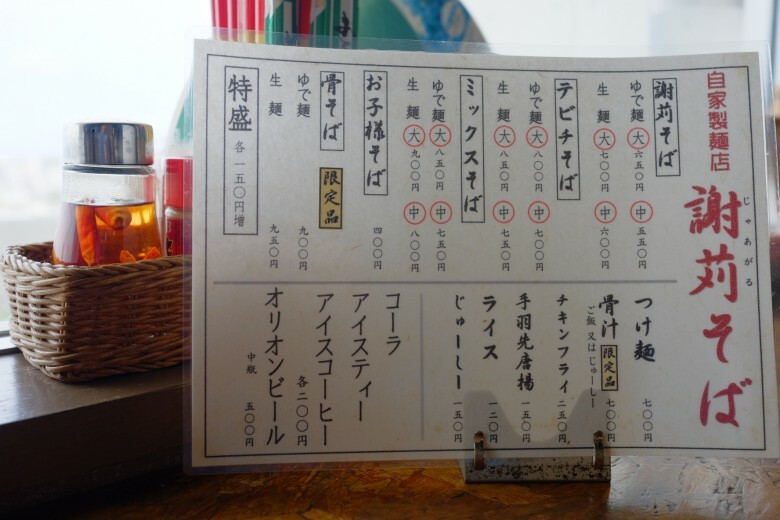 All the soba has a choice of fresh noodle or cooked noodle. Fresh noodle is JPY50 more expensive. Of course, fresh noodle will be cooked when served. If I’m guessing right, it should be like this. They make soba in the morning, and this is served as fresh noodle. They will cook what’s left of the day, mix it with oil, and keep it in the fridge for the following days. This is “cooked noodle”. 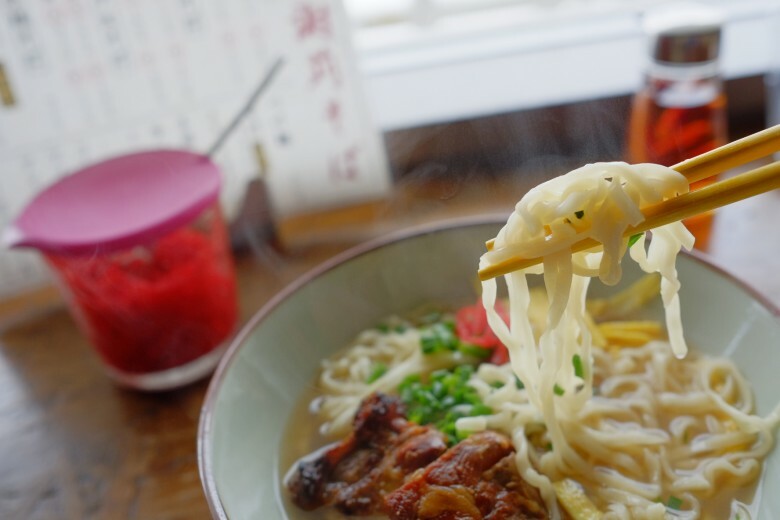 In your first visit, you should order fresh noodle. And here it is. Very neat looking soba. YES!!! Very good noodle. Medium weight. Smooth. 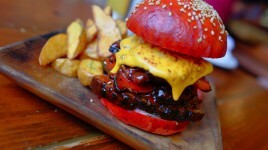 Savory. Aromatic. Pleasant firm. It’s well worth JPY50 to order fresh noodle for sure. Pork ribs are great too. I always categorize taste with these 2 measures. This soba is (A) medium richness for Okinawa soba, and (B) sharp taste. 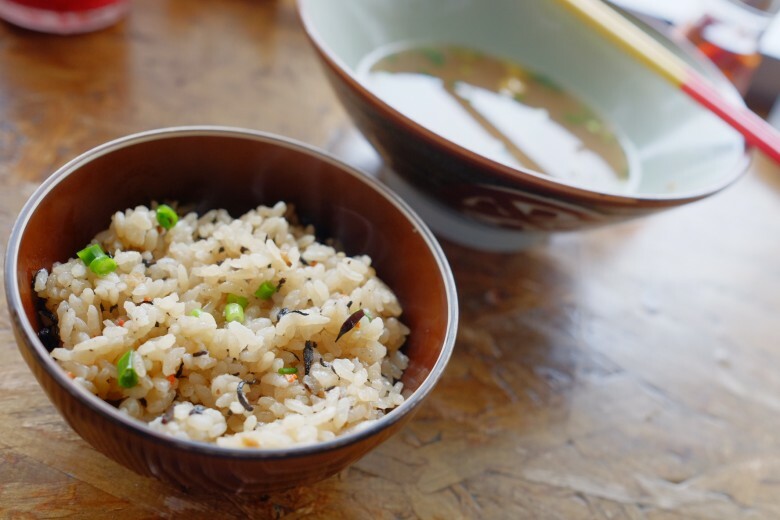 Jushi – Okinawan mixed rice. This is not bad. But not too good. Maybe it’s the quality of rice. The same kind of moderate seasoning of the mix broth, but I felt something missing. It didn’t please me like the noodle did. 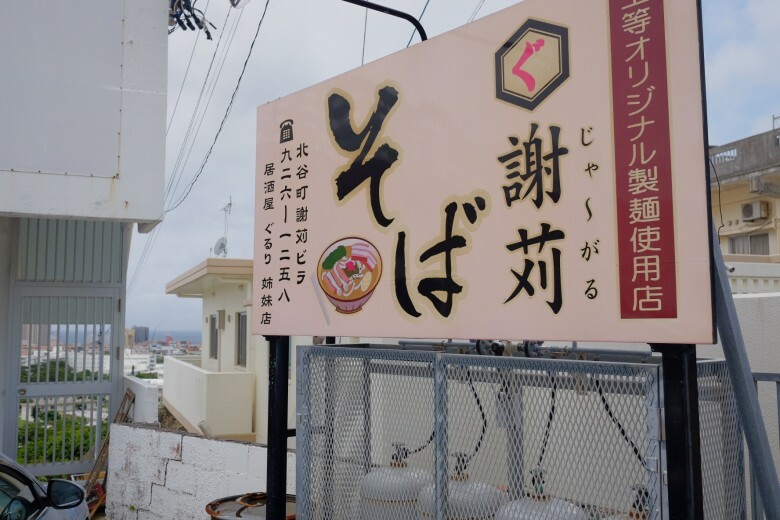 This is certainly a bowel to recommend for your Okinawa experience.